This Christmas season, shoppers and visitors at ION Orchard can unleash their imagination and embark on a joy ride of discovery with festive celebrations, shopping delights, exclusive deals and glittering festive ornaments aplenty from 10 November 2017 to 1 January 2018! Bringing the travel theme to life will be ION Orchard’s outdoor plaza, ION2 which will be transformed into a magical train station where shoppers and visitors can ‘hop aboard’ a steam train, complete with classic English carriage seats, windows and smoke from the train’s chimney, alongside whimsical sound effects. 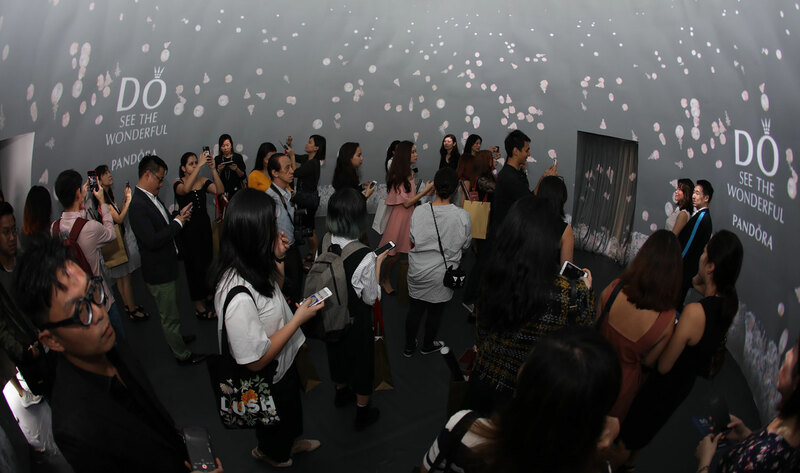 The ‘ION Orchard Express’ will take visitors on a journey across cities and continents to explore forests, valleys, snow-capped mountains through the clever use of moving graphics and imagery from 17 November 2017 onwards. With the train station decked out in hot air balloons, Christmas trees, glittery presents and decorative lights, visitors will be spoilt for choice for festive photo backdrops. In line with the travel theme, the entrance of Orchard MRT station at Basement 2 of ION Orchard has also been transformed into a train terminal, taking inspiration from iconic train stations in Paris, London and New York, greeting shoppers and visitors with a fun and unforgettable Christmas experience. 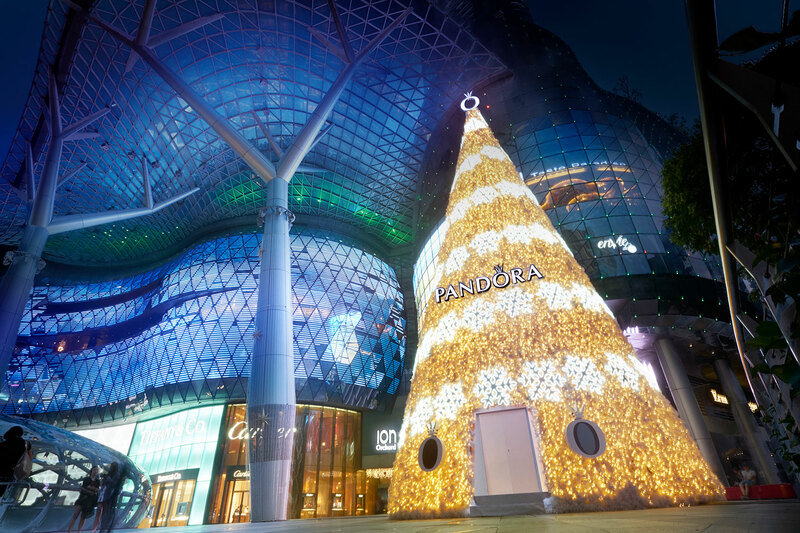 Just a stone’s throw away is the dazzling ION Orchard Christmas tree decorated in partnership with PANDORA. Adorned with 72 glistening rose gold snowflakes and over 130,000 glowing fairy lights, the 20-metre-tall walk-in Christmas tree evokes a sense of elegance and class on bustling Orchard Road. Shoppers and visitors are invited to enter the Christmas tree where they will be greeted with an animated winter wonderland light show, in which glittery falling snowflakes turn into beautiful PANDORA charms once they touch the ground, creating magical photo moments to enjoy with family and friends.